Unfamiliarity to health problems leaves us vulnerable to threats in our wellness. That’s the irony of life. We only know the problems around things that we are familiar with, but we just don’t have time to bother ourselves with other things that we don’t deal with every day. For example, if you are an engineer, you’ll be able to detect an unstable structure spot on, but when it comes to potential health issues; you’ll never know much except those that have been in your family, or the ones you’ve learned from typical sources. Gladly, you’ve found this article. In here, we’ll be giving you vital information about a health issue that may seem alien, but you’ll be surprised to learn how common it is. And that mate is tinnitus. 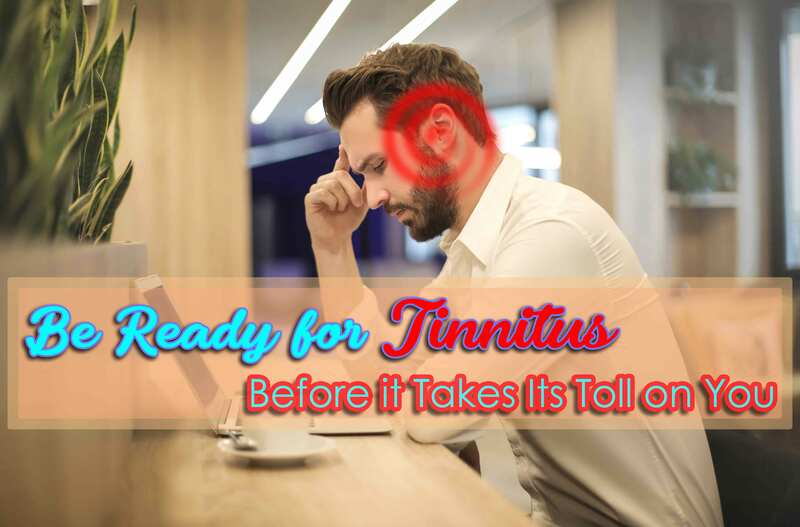 Tinnitus is an ear problem, where you’ll somehow hear a ringing noise in your ears. Typically, it’s easy to disregard. Because it happens to almost all of us from time to time. Pretty much almost everything that can go wrong in our ears can cause such a ringing phenomenon. Loud noises for one, such as a sudden firework explosion. But note that it affects 1 out of 5 people, most of whom who neither know what it is or if they have it. Just as they don’t know about hyperacusis. There’s a handful of health issues that can cause or complicate tinnitus, or both. Also, there are times when the real cause is never found. One of the more common causes is damage to the specialised inner ear cells. Inside the ears are small tiny hair cells that move in relation to the sound waves initiating the whole process of hearing. But the problem starts when a few or more of these hair cells are bent or broken. Ringing does not even cut it. Sometimes symptoms can also be buzzing, roaring, clicking, hissing and countless other sounds. These may vary in pitch and can either or both be heard in both ears. It can become so annoying that it can hinder you from concentrating on specific sounds that you actually want to hear. Subjective – this is the kind that only you can hear and is more common. The cause can be an ear problem in the outer, middle or inner part of your ear. Or it can be problems with the auditory nerve. Objective – an audiologist can hear this as much as you can during an examination. It can be caused by a blood vessel problem or some contractions in your middle ear bone. Exposure to Loud Noise –Each individual has unique tolerance when it comes to noise. But overexposure can at some point damage the tiny hair cells inside your ears, which as aforementioned causes the ringing sound. Age – this one is the more common and apparent risk factor. Hair cells are liable to wear and tear as much as anything else. Thus, needless to say, that the hair cells also age as we grow old. Gender – men, in general, are more prone. Cardiovascular problems – having listed that blood vessel disorders can also cause it, obviously, people with blood vessel related conditions are also prone. Ringing in the ears, as it’s commonly called can definitely be prevented in many cases. In others, it’s part and parcel of aging changes. But just knowing about the problem can prevent it from causing damage to your overall health and wellbeing. Certain precautionary measures such as using hearing protection, turning down volumes of electronic devices or taking care of your overall health can do heaps in doing so. If loud noises are just another day in the office for you, then perhaps discipline can be a remedy. It’s just a matter of being self-aware of the risks and doing some measures to preclude complications. And if you hear tinnitus at the end of your working day, that’s the best sign that things have been too loud. So, more protection is needed to avoid permanent problems now and in the future. When all signs are at hand, be sure to reach out to the nearest audiologist clinic and get in touch with an expert. Hearing is too important to simply take our chances. Secure auditory health and secure your overall well-being. Book your consultation today and detect early signs before they get worse. Place your trust to experience, expertise and passion—that’s what constitutes our care. Browse for more information on our website, or get in touch with our audiologists. Also, are you seeing signs of hearing problems in your kids? Know the truth behind the assessments for your children, read our article: What Should You Expect During Children Hearing Tests? This entry was posted in Tinnitus and tagged Children Hearing Tests, Cochlear Implants, Deafness, Dizziness, Hearing Aids, Hearing Implants, Hearing Tests, Musician Plugs.